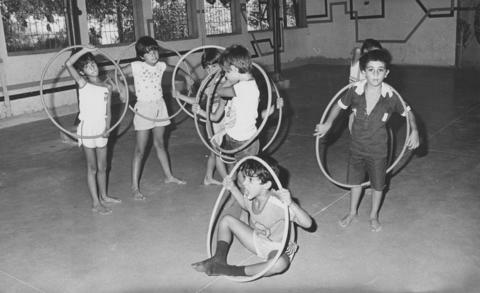 Photograph depicts a group of children with hula hoops. The caption read: "Children who lost family members fighting for Israel are seen in the picture attending a camp at Wizo's Hadassim Youth village. The 350 children, aged 6-14, were recommended for the camp by social workers and by Wizo volunteers."